Giants make great swimmers. Long bodies are more aerodynamic, long legs more efficient, not to mention the huge, paddle like feet. 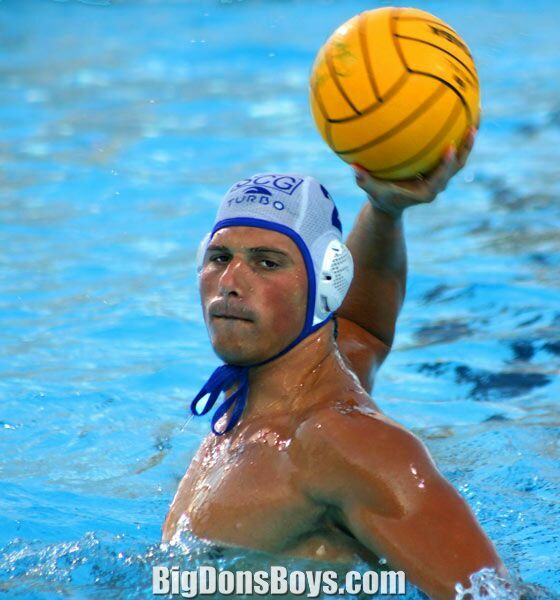 Gorgeous guys just collect in pools of water polo like at Pepperdine University. Because the water holds up the athletes weight they are free to get much larger than in other sports that involve running on the land.